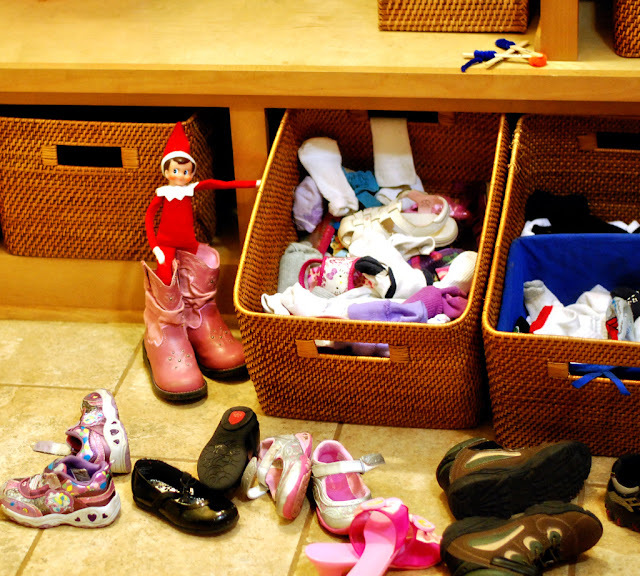 This morning the Elf was easy to find, he was trying on the kids shoes! 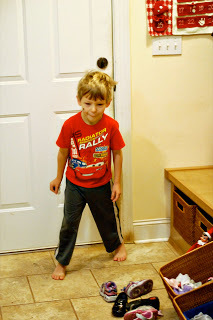 We are always catching the kids (both of them) trying on my pretty red heels and walking around, I guess the Elf thought it looked fun. Em's words "He's in my boots!"